GDP - US $ 477 billion. 3. 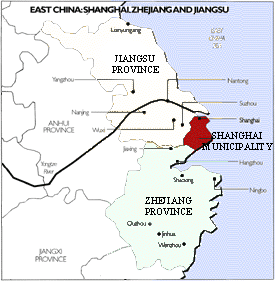 Shanghai has become one of India’s key partner municipalities in China. Hon’ble Prime Minister of India Shri Narendra Modi paid a very successful visit to Shanghai during May 15-16, 2015. The itinerary of Prime Minister in Shanghai included meeting with top Chinese CEOs, India China Business Forum, Meeting with Shanghai Party Secretary Mr. Han Zheng and inauguration of Gandhian and Indian Studies Center at Fudan University. Before concluding his visit to China, Prime Minister attended a reception organized by the Indian Community in Shanghai. In August 2017, Hon’ble Minister of Commerce and Industry Smt Nirmala Sitharaman visited Shanghai to participate in the BRICS Trade Ministers Meeting. In June 2017 Hon’ble Minister of Youth Affairs and Sports Shri Vijay Goel accompanied the 200 member youth delegation from India. The Youth delegation visit is an annual bilateral program between India and China. In January 2016, Hon’ble Chief Minister of Haryana led a delegation to Shanghai and in April 2016, Hon’ble Raksha Mantri Shri Manohar Parrikar led a delegation to Shanghai. Chief Ministers from Indian States of Telangana, Andhra Pradesh, Punjab, Gujarat, Bihar, Madhya Pradesh, Karnataka and Manipur had visited Shanghai in recent years. Hon’ble Home Minister Shri. Rajnath Singh paid official visit to Shanghai in November, 2015. President of India H. E. Smt. Pratibha Devisingh Patil visited Shanghai during May 29-31 2010 as part of her State visit to China. Her visit was the first visit by any VVIP from India to Shanghai since 2000. 4. Shanghai Party Secretary Han Zheng visited India in May 2016. He led an 80 member business delegation to India. In New Delhi he met Prime Minister Shri Narendra Modi and in Mumbai he met heads of leading companies including Tata sons, Infosys Technologies etc. Mumbai and Shanghai are sister cities and this visit is seen to encourage strong cooperation between the cities. Vice Chairman of Shanghai CPPCC Mr Xu Yibo led a six member delegation to India in February 2017. 12. In 2017, India’s total trade with Shanghai stood at US$ 9.1 billion, an increase of 21.25% on year-on-year basis. In 2017, the exports from India to Shanghai totaled US$ 3.9 bn, an increase of 39.51% on year-on-year basis and imports by India from Shanghai totaled US$ 5.2, a rise of 10.35% on year- on-year basis. 6. The principal items of export from India to Shanghai are diamond, unwrought copper and copper products, textile yarns, fabrics, unwrought zinc and zinc alloy, clothes and accessories. The main items of import from Shanghai to India included automatic data processing equipment and its components, telephone/telecommunication related equipments, medicines, steel products, primary shape plastics. 7. Many prominent companies from Shanghai are present in India and doing business with a large cross-section of Indian companies in various sectors such as power generation, infrastructure development and cellular technology. As of December 2017, 30 Shanghai based companies have invested in India a total of $1.57 billion with $1.36 billion coming from China. This includes Shanghai Electric Corporation Limited (invested 9.8mn USD), Shanghai Urban Construction Group (SUCG), Baosteel, Shanghai Yong Guan Commercial Equipment Co. Ltd, Shanghai Centrifuge Institute Co. Ltd., Shanghai Zhenhua Port Machinery Co Ltd, ZTE Corporation, Highly Electrical Appliance(India) Co Ltd (manufacturer of compressors for air conditioners), Shanghai Baijin Group (manufacturer of chemicals), Shanghai Yanfeng Visteon Automotive Trim System Co Ltd, Trafomec(India) USP Magnetics, Shanghai Yunju Investment & Management Co., Ltd (along with a foreign company invested 200 mn USD in acquiring India ONE97) Shanghai Fosun Pharmaceuticals ( bought Gland Pharm for $1.46 bn of which $1.26 billion is Chinese investment) etc. Shanghai Research Institute of China Postal Group has entered into a joint venture with Mail Management Division, Department of Posts for automation of mail sorting process. 8. As of end of November 2017, the accumulated contracted investment from India to Shanghai was $ 3.47bn with 266 projects. There are about 100 Indian companies and financial institutions based in Shanghai. Apart from IT majors like Tata Consultancy Services (TCS), Infosys, Wipro, HCL and NIIT, major industrial houses like Larsen & Toubro, GMR, Adani Group, Aditya Birla group, Moserbaer, Reliance, Raymonds, TATA, BEML, Thermax, TVS, TAFE, Aurobondo Pharma, Lupin, Piramal and Dr. Reddy's Laboratories have offices in Shanghai. CII has a full fledged presence in Shanghai since 2003. There are 4 PSUs namely Air India, BEML & Engineers India Ltd. (EIL) in Shanghai. Air India operates five weekly flights from Shanghai to Delhi & Mumbai. With another 4 weekly flights from Shanghai to Delhi by China Eastern, Shanghai is the city which has maximum connections with India in China. There are six banks namely Axis Bank, Canara Bank, ICICI, Punjab National Bank, State Bank of India (SBI) and Union Bank of India based in Shanghai. Out of these banks, SBI commenced RMB operations in March 2010, while Canara Bank does non- RMB operations. There are also a large number of trading firms based in Shanghai that are engaged in sourcing raw material and semi-finished products from China. 16. The Shanghai Diamond Exchange, set up in 2000, has a significant number of Indian traders. Indian diamond trading community is the largest in Shanghai diamond exchange. Diamond contributes to around 5 % of total exports from India to China. 9. ICCR and Center for China Shanghai International Art Festival (CSIAF) have had close cooperation over the last few years. In 2015, India was designated as the Guest of Honour country for the 17th Edition of CSIAF in Shanghai and a series of cultural performances, including Bollywood dance performances, as well as an exhibition titled “Forms of Devotion” were put on display at the National Museum in Shanghai. In the last couple of years, several cultural troupes from India have performed in the Eastern China Region as part of the ongoing collaboration between ICCR and CSIAF. India culture week was held in November 2015 during Shanghai International Arts Festival. 10. A MoU was signed between ICCR and CSIAF during DG ICCR’s visit to Shanghai in October 2016 which calls for cultural performances to be organized in India and China during 2017-2018. As a part of the MoU both sides will attempt a joint theatrical re-production of the popular Indian movie ‘Awaara’ which would be set in contemporary times and re-enacted as a theatrical version for viewing by contemporary audiences worldwide. 11. During Prime Minister Modi’s visit to Shanghai in 2015, ‘Center for Gandhian and Indian Studies’ was inaugurated at Fudan University. The center for Gandhian and Indian studies is headed by Indologist Prof Liu Zhen. An ICCR sponsored Hindi chair has been in place from 2013 onwards at Shanghai International Studies University. 12. Yoga has influenced Shanghai the same way it has influenced the rest of China. The 3rd International day of Yoga was celebrated with participation of over 1000 yoga lovers in Shanghai in Chongming Island on 21st June. Weekly Yoga classes for the Consular Corps in Shanghai are being held at the Consulate Premises. 13. The total number of Indian nationals residing in Shanghai is estimated at about 5500. In recent years, there has been a significant increase in the number of Indian companies setting up their offices here. The Indian community is a mix of entrepreneurs, professionals employed by Indian and global multi-national corporations, service personnel, senior business executives and traders. The Indian Association Shanghai is the apex body for the Indian community in Shanghai and regularly organizes cultural and sports events and gatherings during Indian festivals. The Annual Blood donation camp held by the Indian community in Shanghai is one of Shanghai expat community’s most welcomed events. The camp organized in May 2017 crossed the 200 donor mark making it largest blood donation camp by any expat community. 14. Shanghai is both an international metropolis and a place reminiscent of the city’s rich historic and cultural past. The city has various interesting tourist spots which include parks, gardens, museums, churches, temples, towers etc. Shanghai is home to buildings and structures of various architectural styles. The Bund, located by the bank of the Huangpu River, has a rich collection of early 20th century architecture, ranging in style from neoclassical to the art deco. Nanjing Road and Fuzhou Road are also famous landmarks of Shanghai since that period. A number of areas in the former foreign concessions are also well preserved, most notably the French Concession. Shanghai has retained some ancient sites such as the Yuyuan Garden, an elaborate traditional garden in the Jiangnan style; Longhua temple, the oldest Buddha Temple in Shanghai renowned for its annual fair; Jade Buddha temple, one of the most famous Buddhist temples of Shanghai which houses the beautiful white Jade Buddha statue that was brought from Myanmar in the nineteenth century. The Lujiazui Financial and Trade Zone on the eastern side of the river, known as ‘Pudong’, hosts the tallest buildings in Shanghai, the Jinmao Tower & World Financial Centre. The Oriental Pearl TV Tower is an all time favorite with the visitors.